Lotus | Register FREE* Acu, Hara, & Herbs 8-Hr Webinar! Feel like there’s something missing in your acupuncture practice? At eLotus, we understand that acupuncturists and Chinese medicine practitioners are always on the lookout for new and exciting ways to improve the quality of services they provide. That said, with the majority of Chinese medicine masters willing to teach only a chosen few disciplines, gaining knowledge can be a tad bit difficult. On a mission to make the teachings of Chinese medicine more accessible and available for the masses, we are hosting a FREE 8 HOUR WEBINAR titled “Allergies, IBS, and Chronic Infection: Acupuncture, Hara, and Herbs, Part I” on Saturday, 16th February, 2019 to help you identify and treat a variety of conditions with immense accuracy and effectiveness. As the creator and author of the BodyMapping Acupuncture Technique, our speaker, Dr. Cole Magbanua, will cover the techniques that can help diagnose and treat internal conditions pertaining to the Lung and Heart including but not limited to allergies, bronchitis, angina, chronic infections, sinus infections, coronary heart disease. Leveraging 25 years of experience and extensive research in the world of acupuncture, Cole will also introduce you to the abdominal hara and pulse diagnosis to help you deliver excellence. By attending this unique webinar, you will not only be able to avail the opportunity of learning from an experienced speaker who has learned directly from Chinese, Tibetan, and Japanese medicine experts, but you are also bound to become more confident in your treatments by seeing unprecedented results. 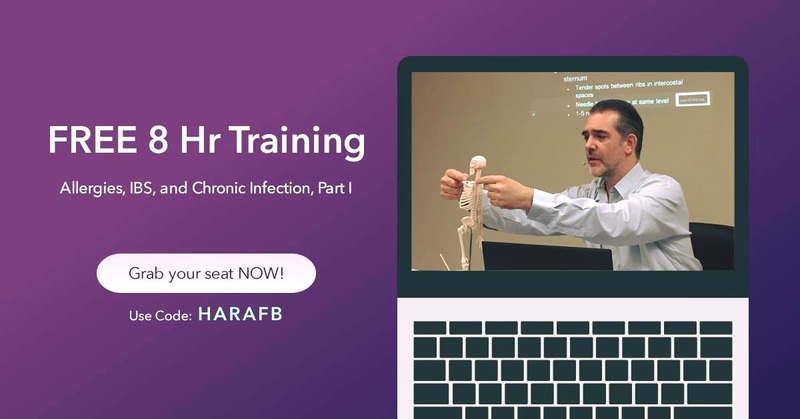 Cole will also teach you clinically relevant matter and introduce you to various modalities for treatment to ensure that you can apply all that you have learned in the webinar directly on your patients and benefit from increased referrals due to added efficiency and effectiveness. Join us for FREE on Saturday, February 16, 2019 by clicking here for an opportunity to learn the best acupuncture points and herbal recommendations for Lung and Heart disorders (CEUs NOT included). *This offer does NOT include either CEUs or 2-week extended viewing. It applies only to the webinar on Sat., 2/16/19. Free webinar registration is limited to the first 100 people with a valid coupon code. The coupon code is valid until 11:59 pm PT on 2/12/19. Limit 1 free webinar per person. The course is accepted for 8 CEUs by CA (Category 1), NCCAOM (AOM-AC), FL (General), IL, TX (General), AHPRA, AFPA, BAcC, CAAA, CTCMA, IVAS, NZASA, NZRA. If you would like to receive CEUs for this course, simply register WITHOUT entering the coupon code. Regular tuition is $125. Are you a Gold Pass member? For you, there's no need to register with the code - simply log in to watch this webinar FREE and receive CEUs! 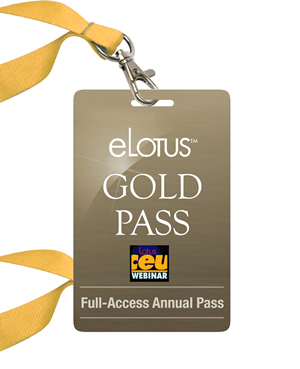 Find out how to become a Gold Pass member today.